Genroku (元禄) was a Japanese era name (年号,, nengoo, lit. "year name") after Jōkyō and before Hōei. This period spanned the years from 1688 through 1704. The reigning emperor was Higashiyama-tennō (東山天皇). G1, 1st month: Ihara Saikaku publishes Japan's Eternal Treasury. G2 (September 16, 1689): German physician Engelbert Kaempfer arrives at Dejima. G8, 8th month: Minting begun of Genroku coinage. He leaves for "Oku no Hosomichi", comes back in 1690. He lives for a while with Kyorai at the hermitage Rakushisha 落柿舎 in Kyoto. He is back in Edo, in another Basho-An hermitage. 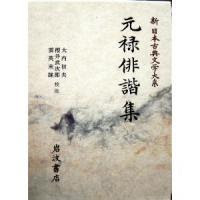 His nephew Tooin 桃印 Toin (Peach Seal) dies at Basho-An. He travells to Western Japan and dies on the road in November.
. Shoomon 蕉門 Basho's followers . and not mentioned here again.
. 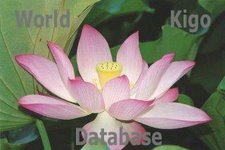 Introducing Japanese Haiku Poets. Their dates refer to the Asian lunar calendar. Tachibana Hokushi 立花北枝, Enomoto Kikaku 榎本其角、Hattori Ransetsu 服部嵐雪、Mukai Kyorai 向井去来、Morikawa Kyoroku 森川許六、Kagami Shikoo 名務支考、Naito Joso (Naitoo Joosoo) 内藤丈草、Ochi Etsujin 越智越人、Shida Yaba 志田野坡 (1662-1740), Sugiyama Sanpuu 杉山杉風. from Mino, from a rich family, but he left wife and children behind and began roaming Japan as a poet. He was about 60 when he died. doctor in Kyoto. Also named 玄恕. Published in a Basho anthology, Hakusenshuu 泊船集 (Hakusenshu) 1698. Student of Basho. When Basho was ill in Osaka, he provided a nursing home for him.
. Itoo Shintoku 伊藤信徳 Ito Shintoku (1633 - 1698) .
. Kosugi Isshoo 小杉　一笑（こすぎ　いっしょう） . He was at Basho's side and gave him medicine, until the master died. He accompanied Matsuo Basho on his trip, Nozarashi Kikoo　野ざらし紀行 Nozarashi Kiko. His haikai contained "great exaggerations" and "bald falsehood". One of the 47 Akaho Ronin.
. Suganuma Kyokusui 菅沼　曲翠（すがぬま　きょくすい） . official from Omi. He offered the 幻住庵 Genju-An to Matsuo Basho.
. Genroku Haiku Poets / Japanese reference .